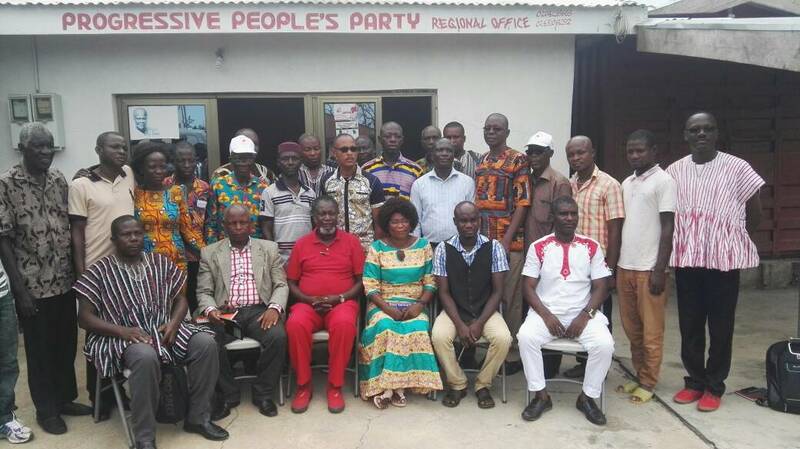 The Progressive People’s Party (PPP) is embarking on a re-organisation tour aimed at improving the party’s electoral fortunes in 2020. The progressive People’s Party shall embark on a Re-Organisation Tour in May 2017. The party which has been reviewing reports from its research on why it failed to win some of its targeted seats in the 2016 election, has come to the conclusion that it is important to start a re-organisation exercise and inject some energies in its rank and files in order to make them ready for the 2020 elections. The National Chairman of the Party, Nii Allotey Brew Hammond shall embark on this tour with some National Officers to Visit all 10 regions and some Key constituencies in each region in an effort to help reorganise the party and prepare the grounds for battle in 2020. The Tour shall be begin from Volta Region where the Chairman will visit the South Dayi and Anlo Constituencies, then move to all other regions all the way to the Upper East and Upper West Regions. The PPP is seeking governmental power to effect change that will benefit the Ghanaian Industry, Fight poverty through the use of government purchasing power to promote Ghanaian Jobs and to provide a leadership that is progressive to the needs of Ghanaians. We call on all party members to give the Party Chairman and his team the needed assistance anytime he calls on them. ⟵STATEMENT PRESENTED BY THE PROGRESSIVE PEOPLE’S PARTY (PPP) AT A PRESS CONFERENCE TO ADDRESS THE LAWLESSNESS IN GHANA ON MONDAY, 10TH APRIL 2017 AT THE PARTY HEADQUARTERS, ASYLUM DOWN – ACCRA.